Capturing data begins it all. 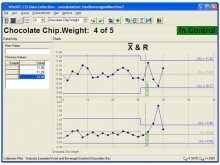 Without data, there can’t be real-time control or any kind of process improvement. With it, processes become understandable and new realms of stability and profitability can be attained. WinSPC solves all the challenges associated with capturing data. It captures virtually any type of data from nearly any source and it does so with a powerful simplicity. WinSPC can prompt these sources at specific time intervals for automated collection, along with bi-directional communication for closed-loop control. 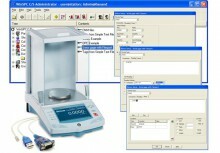 See our gage interface hardware. Setting up WinSPC to capture data is a fast operation, regardless of whether that data will be manually entered using a keyboard or received from an external source. Shop floor personnel learn the primary window used to capture data, called the Data Collection window, in minutes and everything on that window is security controlled. As needed, WinSPC administrators can even rearrange that window’s elements to suit specific process requirements or user preferences. Finally, to keep production going in the event of a network outage, administrators can enable WinSPC to capture data offline and upload it to the main WinSPC database when network communication is restored. For more information, watch the Capturing Data and Generating Alarms video or any of the three Setting Up to Capture Data videos. If you have a CMM, you may consider connecting it to an SPC system. This whitepaper contains more information on CMMs and SPC software.